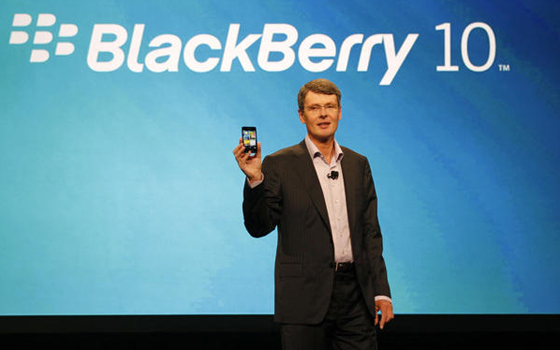 Outgoing BlackBerry CEO Thorsten Heins bade farewell to his employees in a farewell letter sent earlier this week, after it was announced that the company would raise $1b and remove plans to take the company private. It was also revealed that current CEO Thorsten Heins would be stepping down, and taking his place on an interim role would be John Chen, a former CEO of Sybase. In his farewell letter addressed to his employees, Heins explained the situation in detail, from the changes in the Board of Directors and management team to the introduction of a new interim CEO in Chen, before ending his letter telling his employees that he will be “cheering from the sidelines”. As WSJ puts it, the letter as a whole feels rather muted despite serving the company for six years. Head on to the source link below for the full letter.